Deck in organza bag, rarely used. 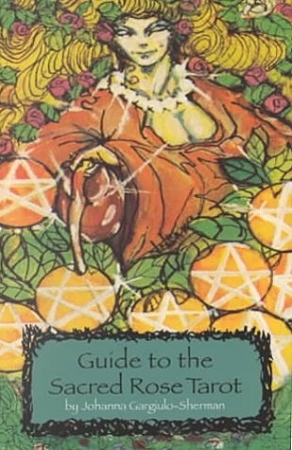 Includes the companion book, Guide to the Sacred Rose Tarot, originally sold separately. Using the Sacred Rose book and tarot deck, the reader learns psychic development exercises to access and unlock the doorways of the mind. This set is rich with insight, history, and personal possibilities. Book contains 212 pages, illustrated.